Top lawmakers investigating the skyrocketing cost of Mylan's EpiPen are calling on the company to hand over information about the device's profit margins. House Oversight Committee Chairman Jason Chaffetz and the panel's top Democrat, Elijah Cummings, say Mylan (MYL) CEO Heather Bresch omitted "key tax assumptions" from her testimony before the committee last month. Bresch spent that hearing defending the price of an EpiPen two-pack, which costs about $500 more today than when Mylan bought the rights to the allergy treatment in 2007. She said the company makes about $50 per pen on the $609 package. But in a letter to Bresch last Friday, Chaffetz and Cummings said neither the CEO's testimony nor documents given to them "clearly disclosed" the actual tax rate paid by the company. The letter cited a Washington Post article that said Mylan pays a much lower tax rate than the company assumed in its calculations for the committee. The Post said the pre-tax EpiPen profit is closer to $80 per pen -- not $50. Chaffetz and Cummings said the lack of disclosure, "despite opportunities to do so before and during the hearing," prompted questions. 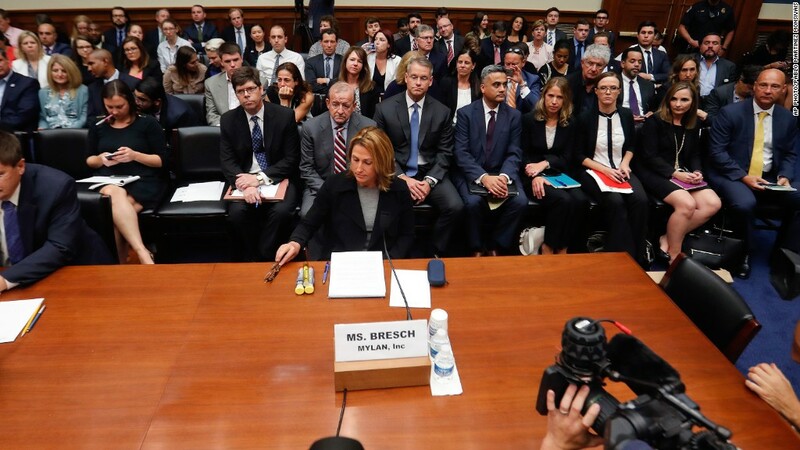 During the hearing, Bresch was slammed by committee members who called price increases on the EpiPen "sickening." She said the company is planning a generic version of the product that it will market at $300. Mylan wrote in a statement to CNNMoney on Monday that it remains "committed to productive and continued cooperation with the committee, and we intend to respond to their request for additional information." The committee said it wants the profit margin information, along with all other documents related to EpiPen sales, by Friday.